WASHINGTON — As Department of Veterans Affairs physician Nancy Klimas told an agency panel Tuesday about the many successful ways her clinic has been treating Gulf War illness, veterans have responded with a combination of hope and anger. The hope came because her clinic appears to be making headway in using research-based methods to treat veterans with the disease, which consists of symptoms ranging from headaches to memory loss to chronic fatigue, and plagues one in four of the 697,000 veterans of the 1991 Persian Gulf War against Iraq. The anger came because, although Klimas had been using at least some of her methods for a decade, none of them have been disseminated throughout the VA system for use in other clinics. Her testimony was part of the ongoing fight between Gulf War veterans, who believe the government is ignoring physical causes for their ailments, and the VA, which has been reluctant to support the veterans' claims. Klimas heads the Institute for Neuro Immune Medicine at Nova Southeastern University in Miami, and she leads Gulf War Illness research at the VA Medical Center in Miami. She said she has asked her patients to be their own advocates because many physicians don't believe the illness is anything but psychiatric. Others, Klimas said, don't have time to read the training manual VA put out to help them care for Gulf War veterans, don't have more than 15 minutes to deal with each patient, or don't know how to refer them to specialty clinics where they can get care — and some simply don't care to learn. "That was a great presentation, but I can't resist adding that this information has been in the hands of Dr. Klimas for 12 years," said Jim Binns, chairman of the Research Advisory Committee on Gulf War Veterans' Illnesses, which met with VA officials Tuesday. For 23 years, Gulf War veterans have argued they were exposed to toxins, such as pesticides, insect repellents, anti-nerve agent pills and nerve agents that caused them to be sick. They've said they do not believe their ailments are due to stress because of the war's short duration and because the majority of troops were not exposed to the fighting. But until 1997, the VA focused on psychological disorders and not research to determine physical causes for the ailments. In 1997, Congress mandated Binns' committee after a congressional report found that the efforts to find causes and treatments for Gulf War illness by government agencies were "irreparably flawed." Binns said Klimas' use of research to create a plan to treat veterans is what should have happened at the top level. Robert Jesse, the VA's principal deputy undersecretary for health, said the agency was trying to develop a "medical home" program that would allow doctors to spend more time with specialty cases, such as those involving Gulf War illness. "This is a wholesale change in how we're approaching care in VA," Jesse said. 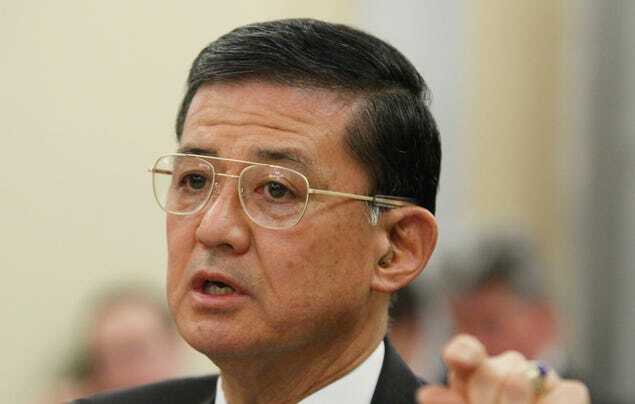 Relations between the VA and Binns' committee have long been contentious and worsened last year when VA Secretary Eric Shinseki signed a directive ending the panel's independence and ruling that Binns' term would end this year. The board's budget was also reduced, and new members were appointed. New members of the board were at Tuesday's meeting. Jesse said the "new membership is a good balance of veteran representatives and good science." Some veterans activists disagreed that progress had been made. Julie Mock, who served as a dental hygienist in the war and was exposed to sarin gas released when the United States bombed a chemical factory, and who now suffers from Gulf War illness, said she feels the VA is violating Congress' intent. "There doesn't seem to be any accountability," she said after sitting in on the meeting. "Congress mandated this research, and now VA has reworked it to suit their needs." Binns said a House hearing last March in which a former VA epidemiologist claimed officials purposely hid or manipulated data to avoid paying Gulf War illness claims changed relations with the department. "We had three years of positive change," Binns said. "Then, abruptly, the wind shifted."